Again, the title says it all. 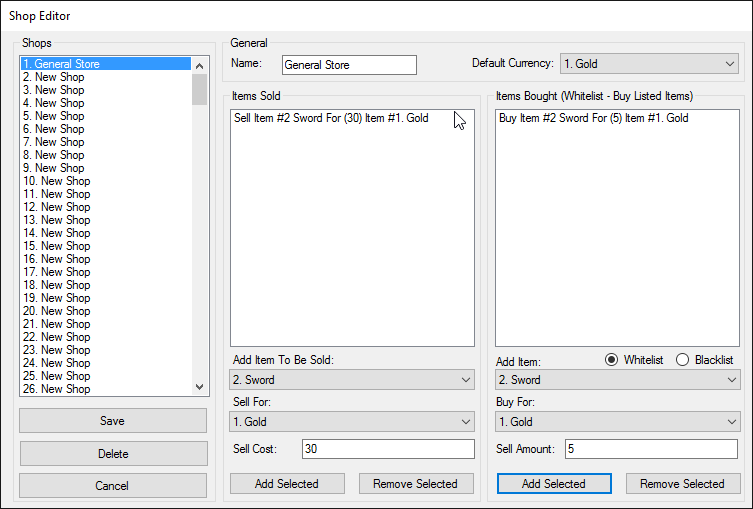 In this update we have a new shop editor where you define what a shop sells and buys along with banks where players can store items and free up their limited inventory space. Lets walk through this left to right. See the "Items Sold" column? That is where you define the items that are available to buy in the shop. You also get to define the type of currency required to purchase that item and the quantity of the currency required. Pretty simple. If whitelist is selected, the shop keeper will only buy items that you add to the "Items Bought" list. 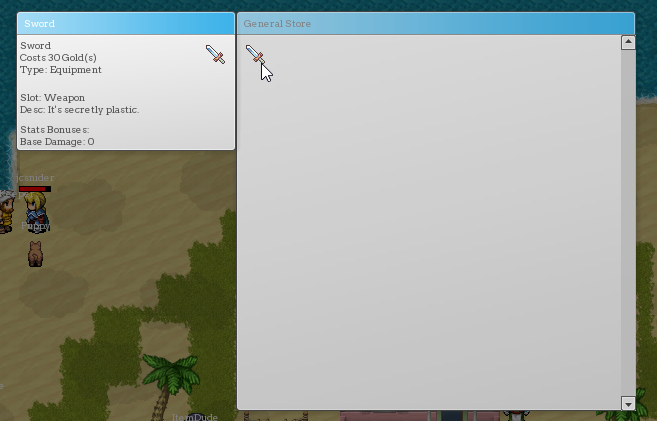 You can also define what the shop keeper will give the player in return. Notice how this shopkeeper charges you more for the sword than he would give you if you tried to sell it to him? 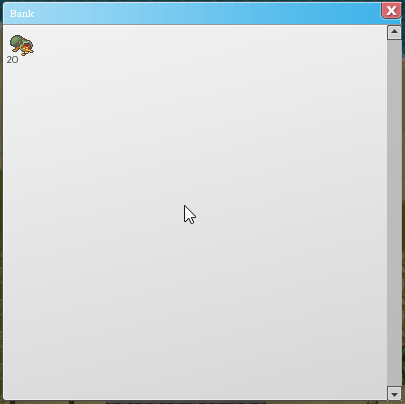 If blacklist is selected, the shop keeper will buy all items, except for those that are listed. This means if you want the shopkeeper to accept all items you could select the blacklist option and leave the list empty. Not too difficult right? Organize Banks However You Want!